Are Baby Boomers Getting Smaller As They Get Older? 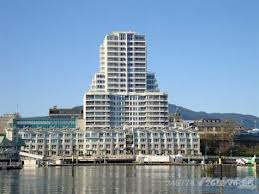 It's true that as we get older we start to shrink, but what really seems to be shrinking in the Nanaimo real estate market is the home size that baby boomers are buying. During the 1970s boomers definitely did drive the housing market upward to a record number of new housing starts. Now, many experts expect the opposite trend to occur as baby boomers reduce the size of their home, opting for condominiums and smaller homes that are more centrally located in 'walkable' neighborhoods. These same experts also expect to see a downward movement in prices in certain areas that are furthest away from the downtown core and suburban centres as boomers decide to list their homes for sale more or less at the same time. Conversely, the experts also expect to see prices rise in the more gentrified, urban areas that baby boomers are most likely to seek out. It used to be true that when people retired they tended to stay in their home until they died or moved into assisted living, because the home was mostly paid off, friends and family were near by, or they simply could not afford to move any place else. However, this generation of boomers are in the best health and the most monied that we have ever seen, meaning that this time-tested trend could easily by altered. Since this generation of baby boomers are more educated and wealthier another expectation is to see them become more politically involved in the debate over urban growth.